Aside from being a purely practical accessory that has dozens of uses, the Baroque Buckle Belt is also a sleek and stylish accessory that matches all different styles of looks. It fits well into contemporary looks as well as it does historical ones. 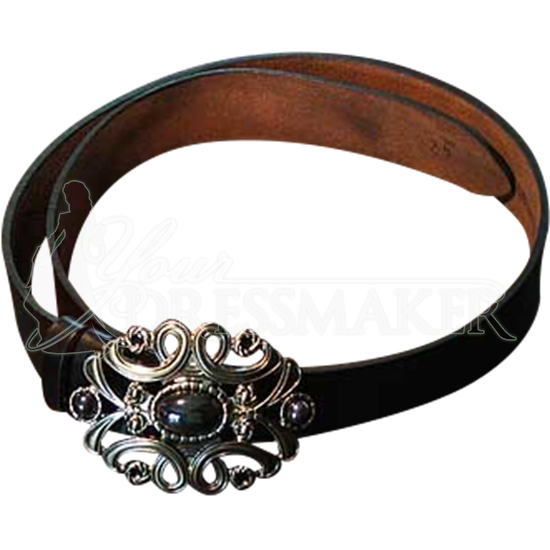 This fine leather belt offers a straight-forward design that is richly enhanced with a baroque fashioned buckle, accented by a dark stone cabochon. 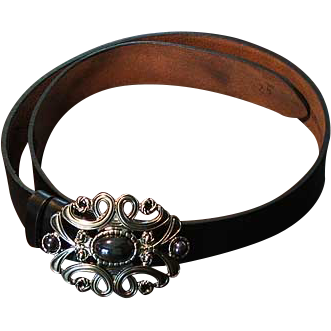 The belt is great for fancy looks and pairs well with noble ensembles, sorcerous themes, and even some modern day looks.